Beautiful burgundy skin gives this onion its name, Ruby Red. 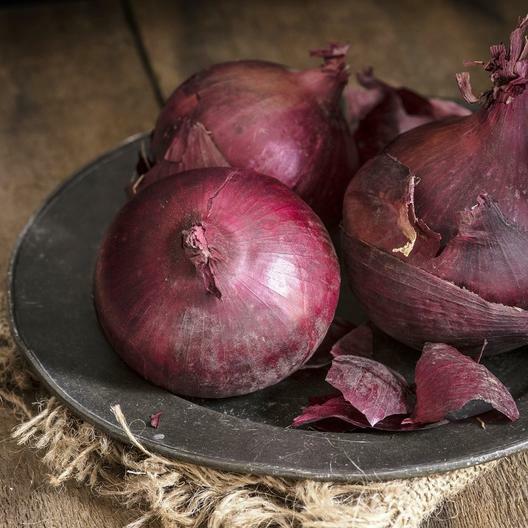 A good storage onion, Ruby Red is a large, firm, red onion that lasts 5-6 months. A Long Day Onion with a medium-large sized globe. Crunchy and aromatic, plants are very reliable and heavy yielding.